I’ve just missed Tea and Cake Tuesday to find something interesting to say about yesterday’s ten day old scones! Trouble is I had some nice chocolate biscuits and forgot the scones but they were still good enough to eat! I could have shared them for Tasty Thursdays… perhaps … or a Funteresting Fact this Saturday– for instance, a something tollpachtschiglich that I’ve done in the last few days … (that previous link goes to the first ‘episode’ if you wish to understand my use of that phrase.) The Sunday Wrap is a link-up to share your best recent post, so apart from adding the link and social visits to the other bloggers, the work’s maybe already done. There are lots more but I’m looking for something ‘bitesize’, simple and stress-free that allows for enjoyment of the blog-hop aspect within time and energy constraints and without too much response thinking effort. MeWorlde (share one word daily, add a photo/pic, poem etc?) – this appears inactive which was disappointing having thought that’s a good way to get into a daily posting habit. However it’d be easy enough to just add the tag, try it anyway and maybe the host will pick it up again after their hiatus. Red Echo Date is simply a challenge to create a response to a given quote (photography/short writing/provide another quote). There’s over half a week to take part before the next prompt is announced. Miniature Writing Challenge (Tuesdays) Mini Short Story (50 – 150 words) OR Tiny Poem (5 lines max) OR Haiku (3 lines, 17 syllables) with a weekly Theme for all three categories and a Short Story Prompt. Poem or haiku is up to the writer. 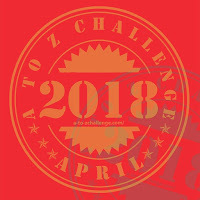 Prompts usually announced Tuesday, so one maybe due soon (not yet announced at time of publishing), or practice with a previous week’s theme and prompt – it’s another new challenge and there have only been three weeks of this events so far (similarly for the other newest events). So there are some listed events I’m thinking of trying out in the next few days or so … how about you, which new event(s) are you hoping to join? Thank you so much for sharing my event. I am looking forward to your post! I will be checking out the others on your page, always love an interesting challenge! I hope you will join us and share your thoughts behind the quote of your choice!